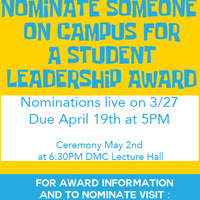 Student Leadership Award Nominations!! Applications Live NOW! !